Justice by Another Name by E C Hanes 5* My post will follow closer to the publication date of 7 March 2017. This is a murder mystery set in a pig farming community in North Carolina. Deputy sheriff Will Moser takes on the most powerful man in the county to discover the truth behind two suspicious deaths. I really enjoyed this book. The Devil Rides Out by Dennis Wheatley 2.5* I enjoyed a few of Wheatley’s books as a teenager and wondered what I would think of them now, so when I saw this as a ‘read now’ book on NetGalley I downloaded it. It’s described as a ‘powerful occult thriller’ as ‘the aristocratic Duc de Richleau faces new, sinister challenges in this macabre tale of the dark arts.’ But I was quite disappointed because it came across to me as very hammy. Although it is fast paced and easy to read, in parts it’s very long-winded. The Buttonmaker’s Daughter by Merryn Allingham 4* – set in Sussex in the summer of 1914 just before the start of the First World War as the feud in the Summers family comes to a climax over the question of who Elizabeth should marry, and war on the continent becomes inevitable. The Dead of Jericho by Colin Dexter 4.5* Inspector Morse investigates the death of Ann Scott, found hanged in her house at Canal Reach in the Jericho area of Oxford. I enjoyed both the Morse books (see Last Seen Wearing below) I read in January for the puzzles they pose and the way Morse approaches finding the culprit. The Quarry by Iain Banks 3.5* in which Kit’s father Guy is dying of cancer and his friends reunite for Guy’s last days. Old jealousies, affairs and lies come to light. I particularly enjoyed Guy’s rants ‘“ as well as those about cancer he also rants about God, faith, miracles, politics, celebrities, and the unfair society we live in and so on. The 12.30 from Croydon by Freeman Wills Crofts 3* – this it begins with a murder but the identity of the murderer is known before he even thought of committing the crime. It focuses on the psychology of the murderer and from that point of view I think it works well. Missing Pieces by Heather Gudenkauf 4* – a murder mystery set in the town of Penny Gate in Iowa. I was gripped by this book, as more and more secrets are revealed and the missing pieces of the puzzle are brought together. If Ever I Fall by S D Robertson 4* – a story about a family in crisis, struggling to come to terms with a terrible tragedy. It begins mysteriously as a man surfaces from his dreams only to discover that he doesn’t know who he is. I enjoyed this book and it certainly gave me much to think about both as I was reading it and afterwards. 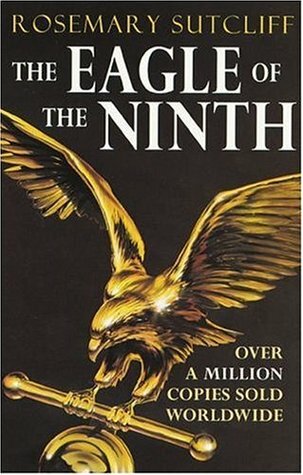 The Eagle of the Ninth by Rosemary Sutcliff 5* – historical fiction about Marcus Aquila, a young Roman soldier who travels into northern Britain in search of the Ninth Legion and its Eagle standard that had disappeared without trace. Most enjoyable. Last Seen Wearing by Colin Dexter 4* – another Inspector Morse book in which in which he investigates a cold case, that of the disappearance of schoolgirl Valerie Taylor. You had an excellent month in January. A nice varied selection too. 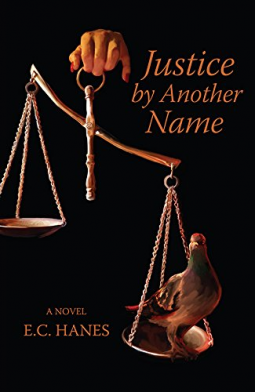 Look forward to your review of Justice by Another Name as it sounds interesting. Looks like a good month of reading – I particularly love the sound of The Eagle of the Ninth. Happy reading in February! I only recognise 1-2 books there, but it looks like a great reading month!